Is this a return of Google Panda? Yes. Google has announced that they are targeting doorway pages this time. It is really important news for every single affiliate marketer and blogger. It seems like Panda is coming again and it will target pages with low quality content. Low quality page is that page which have irrelevant information such as archive pages as they are not the direct answer for any query. I have already said that categories and tags are the main culprit for Panda penalty. I always recommend you to no-index categories and tags or labels. Webmaster team said that doorway pages made only for drawing affiliate traffic and without adding any value in functionality. This clearly shows that this penalty will affect those affiliate or micro-niche which are generating affiliate revenue without adding any value to reader. If you have an affiliate site with high quality content then you need not to worry. But if your site have crappy affiliate content then I recommend you to improve quality content. There are chances that doorway pages algorithm may affect legit sites also. If that happens to you then work to improve the quality of your site. You have to wait till someone share his experience about how to recover from Doorway pages penalty. It is also interesting to see if this doorway pages algorithm will effect email subscription pages, as these pages do not answer any direct query. Now you will see all indexed pages. Check if author, tags, categories or search results pages are not indexed in search engine. If these pages shows, go ahead and no-index them. Again check the search results till last page. 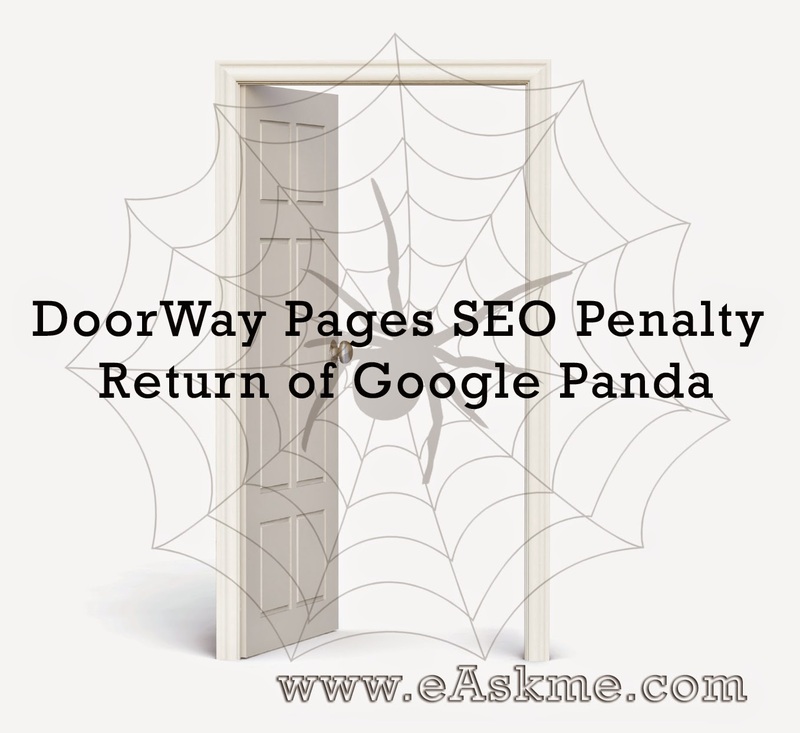 Do share how to save your site from Doorways page SEO penalty? If you find this article helpful, do share on social networks. Don`t forget to like us on fb and subscribe easkme newsletter to get free updates.